This is an image from a painting I did for my nephew, Jamie. 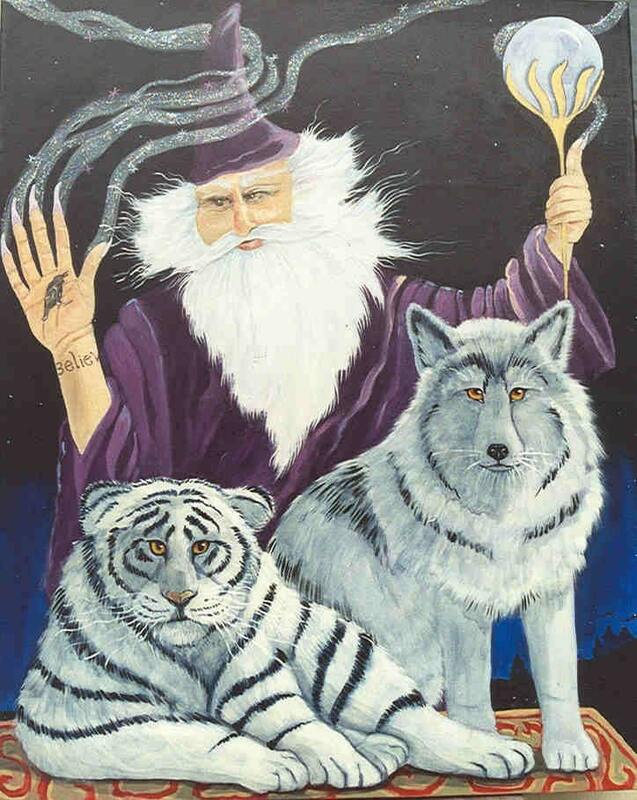 He loves wizards, wolves and white tigers. I promised him I'd do a painting of at least one of them, but then I did a painting that included all of them. The story I wrote to go with it adds to the magic, but I'm sure you can enjoy the image for what it is on this notecard. Each card measures 5 1/2" by 4 1/4" and comes with a matching envelope in a protective sleeve.